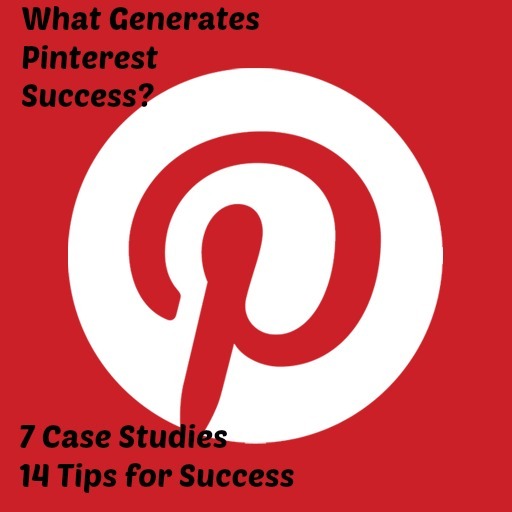 Home › Blogs › What Generates Pinterest Success? What makes a Pinterest account perform so successfully for some businesses? Is it luck or branding or good Pinterest practice that means Pinterest sends significant traffic to some businesses and results in vastly increased sales? In this post, I’m going to look at some Pinterest success stories and point out what they did well so that you can try to emulate the success for your own business. Pinterest has featured some success stories on their own website and the first three are from there. Heather Cleveland, an interior designer, found that using secret boards as a shared board with a client meant that they could work on the concept for a new room efficiently and save a lot of time. Her client could give her immediate feedback on her ideas and the whole project was completed much more quickly than normal. She also find it much more efficient in terms of sourcing items for clients – once she finds them on Pinterest, it’s one click to the store that sells the item. She also found that a client would often point to a pinned image and immediately say ‘I want that kitchen’ and the basis for the room design has been created. Therefore, Pinterest allows her to hone in on a client’s tastes and wants much more quickly. When potential clients visit Heather’s pinboards, they can immediately see her previous work and her style and are able to make a decision whether to engage her or not. Sephora sells beauty products and looking at the demographic of Pinterest, we know their target audience is active there. By including pins in their email newsletter, Sephora discovered that their pins received 14,000 repins and they saw a 60% growth in traffic from Pinterest. People don’t necessarily have the time or the budget to purchase a product then and there that they see on a newsletter. By pinning it to one of their pinterest boards (and many people will have a ‘Wish List’ or ‘Must buy later’ board, people purchased at later dates. Furthermore, other people saw the pins, repinned and purchased. Petplan Insurance sells insurance but their pinterest boards aren’t just about insurance. They are using Pinterest to chat to potential customers, to engage with them and to showcase their customer service. They are delivering information about pet health in a visually attractive way and they are showing what happens behind the scenes at Petplan to deliver a much more personable approach. Their board names are witty and demonstrate that this isn’t a stuffy insurance company that just wants your money – I particularly like “Cat-astrophes Averted” and “Jet Set Pets” – there’s humour and personality in those boards. 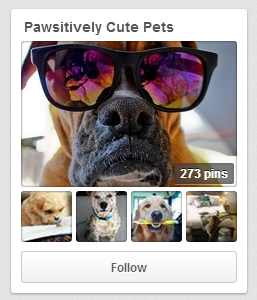 Within a few months, Pinterest became Petplan’s second-highest source of social network referral traffic, generating 69% more page views and 97% greater time on-site than Twitter, and rivaling the performance of Facebook. They added the pin it button to their website and to their email signatures and ensured that their site content was optimised for Pinterest – this means that images were attractive with a pin it button beside them, thereby encouraging others to pin too. 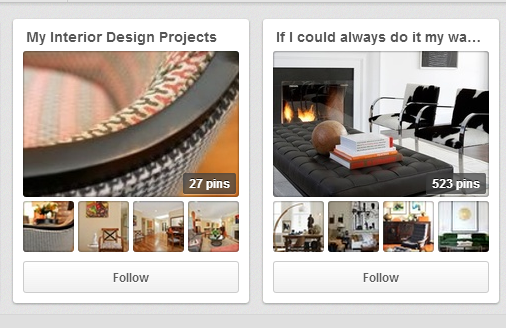 What I particularly liked about the Better Homes and Gardens pinterest account is their use of shared boards. Named’ Blogger recipes we love’ their community of food pinners has pinned 8,000 recipes to date. Apart from the fact that they are crowdsourcing their material in a very clever way, I’m sure every food blogger would be delighted to see that he or she has had a recipe pinned to this very popular board with a quarter of a million followers as I’d imagine the traffic will follow. The featured bloggers, will of course, then follow the board if not the whole account, and the followers increase. JoAnn Hines is the Packaging Diva with numerous boards devoted to wondrous examples of packaging. Apart from pinning beautiful images, JoAnn really engages with her community particularly with other contributors to shared boards. 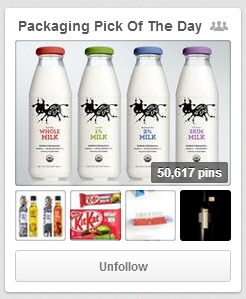 Her ‘Packaging Pick of the Day’ board has now amassed over 50,000 pins and they all seem to receive numerous retweets – demonstrating it is an active board with an engaged community. You know if your pin is pinned to this board that it will do well! Will at Bright Bazaar has 2.5 million followers and I was intrigued when I noticed that not one of them is a shared board. With nearly 16,000 pins, it’s a well populated account with very striking pins yet in a very manageable 25 boards. Each of the board is there for a very purposeful reason. Although the main focus is on interiors and fashion, I liked the inclusion of ‘Things for your little ones” – a really charming board. Just like the other successful boards, it’s very focused with pins of beautiful quality. Moss Cottage (Irish business) is a vintage and interiors shop and what I especially liked about their Pinterest account is its quirkiness such as the board “Cottages I heart”. Although there are 1000 followers, I was a little surprised that they weren’t using their community to grow their account by inviting them to contribute to a shared board. Their target market are just the ones who will be active on Pinterest. I notice that many businesses set up a Pinterest account, create a few boards, repin a few pins, pin once or twice from their website and then decide that it’s either too difficult, that their target market doesn’t seem to be there or that it’s not working for them. If you have a website and you have beautiful or useful images and blog posts on that website, Pinterest will generate traffic and sales for you. You just have to give it some time. Always create and repin striking pins – if they are not beautiful, they must be useful and attractive. They must show that the link to an article that contains useful information. Remove boards that are surplus to requirements or out-of-date. Ensure the cover image on each board is attractive and it reflects the content of the board. Fill out your bio fully in the description box. Join a couple of relevant shared boards but check they have an active community which will increase the likelihood of repins when you pin to it. Create your own contributer board and invite relevant pinners. Be active – you have to keep pinning. Pin little and often. Be community minded – take the time to develop relationships. 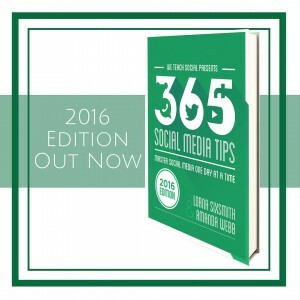 Link to your pinterest account from your other social media platforms, your email signature and your website. Showcase your work, your product and your service on your Pinterest account but don’t make it all about you. 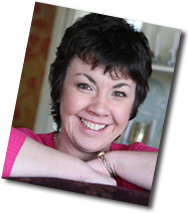 Make your target customer the focus – what is it that they want to know or buy that you can offer? If you are a pharmacy, they won’t want to just see product pictures of shampoo but images of beautiful hair or quirky packaging will attract them. Brainstorm what your target customer wants and provide it in your Pinterest board. If you are a one-person business (like me), you may find that your Pinterest account still has some quite personal boards, for example, I love crochet and I have a board named ‘Made with Yarn’. Even though I did a ‘tidy up’ last week, I kept this board because I enjoy it and it shows my personality. I do keep it at the bottom of the boards page though. I’m not saying that is the right thing to do though and it certainly wouldn’t be for a brand. Look at your competitors or similar brands to you (perhaps in a different country). If they are doing well on Pinterest, evaluate why and create your own Pinterest strategy. Enjoy it! If you enjoy it, you’ll spend more time on it. Use the mobile apps too. If you would like to avail of more Pinterest tips, do keep an eye on our ‘How to Use Pinterest‘ board too. 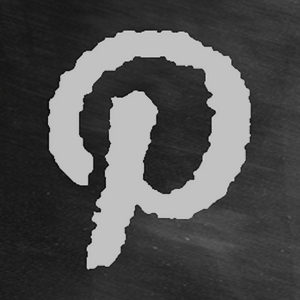 Our next Pinterest Advanced course (delivered online) starts on 21st October. See here for full details.